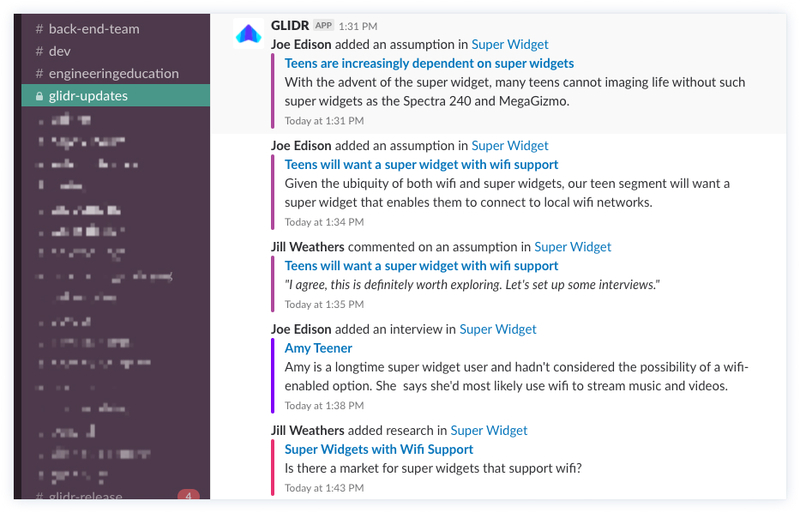 All GLIDR Project updates are chronologically ordered and grouped by date in a Slack channel of your choosing. You can have messages from multiple Projects sent to the same channel, or you can send the messages from each Project to a different channel. Updates are searchable in Slack and contain links to the corresponding card on GLIDR as well as a link to the Project. 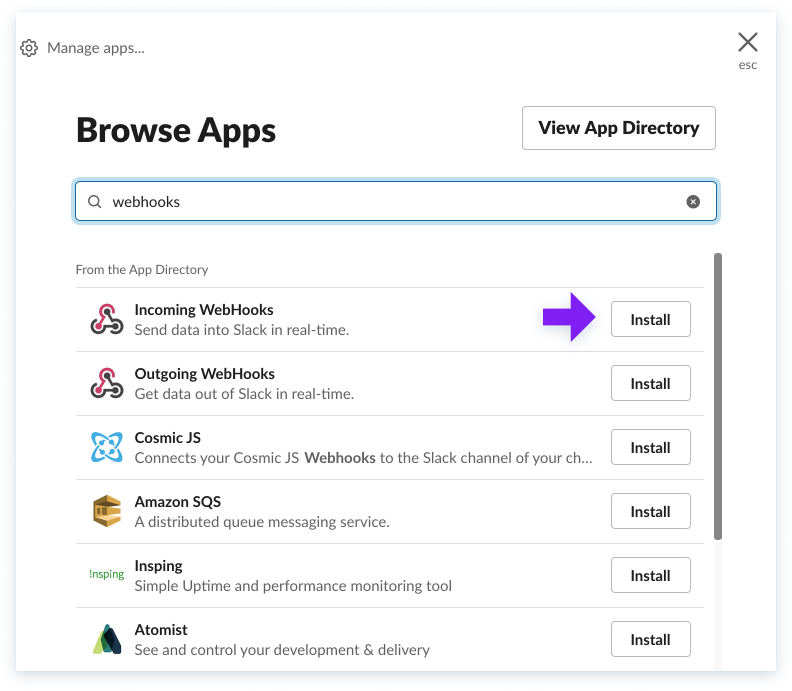 You'll need to install Slack's Incoming WebHooks app. When configuring the WebHooks app, select Configure and choose a channel to which GLIDR notifications will be posted. 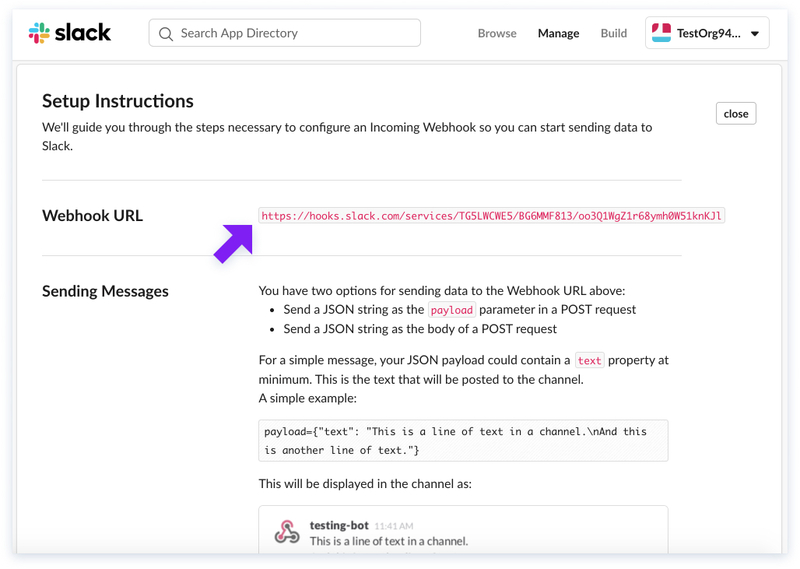 Next, click Add incoming WebHooks integration and copy the WebHooks URL onto your clipboard. First, click on the Account menu in the upper right-hand corner and select Integrations. Next, click Configure under the Slack option. 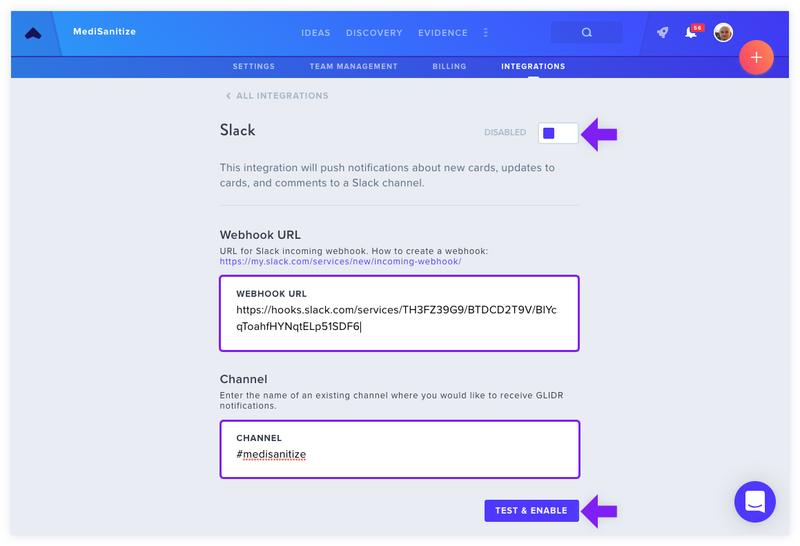 Enter the WebHooks URL from Slack, and enter the Slack channel where you'd like your GLIDR updates posted. Click Test & Enable to save and send a test notification to the Slack channel! 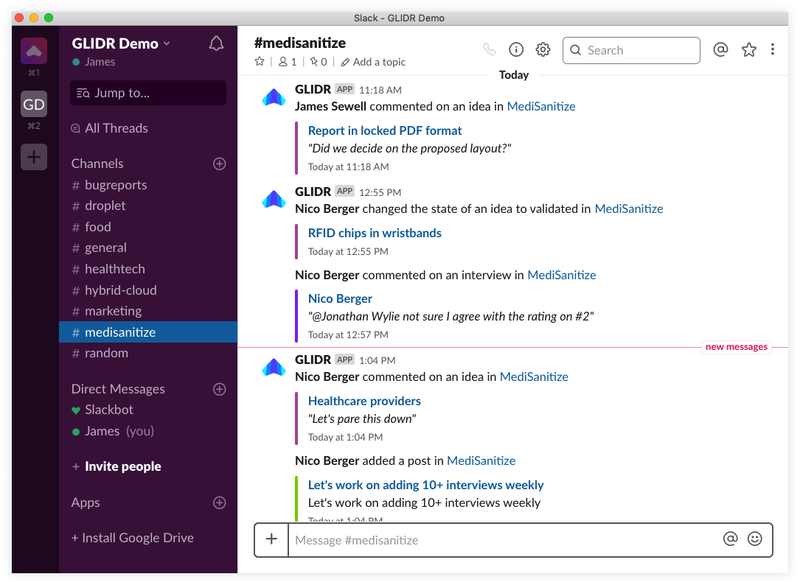 It's now time to collaborate with your teammates using GLIDR and Slack! Updates will now appear in the channel of your choosing, where you can click on the Project name or update details to be taken straight into GLIDR. You can test the connection at any time by clicking the Test button. When you click this, you will get a test message in the Slack channel. To disable the integration and stop sending messages to Slack, click the purple switch at the top at any time. Clicking the switch again will reenable the integration. If you would like to remove the integration, scroll down on the page and click Remove. Find out more about our other integrations.